Integrate bird conservation into sustaining people’s livelihoods. 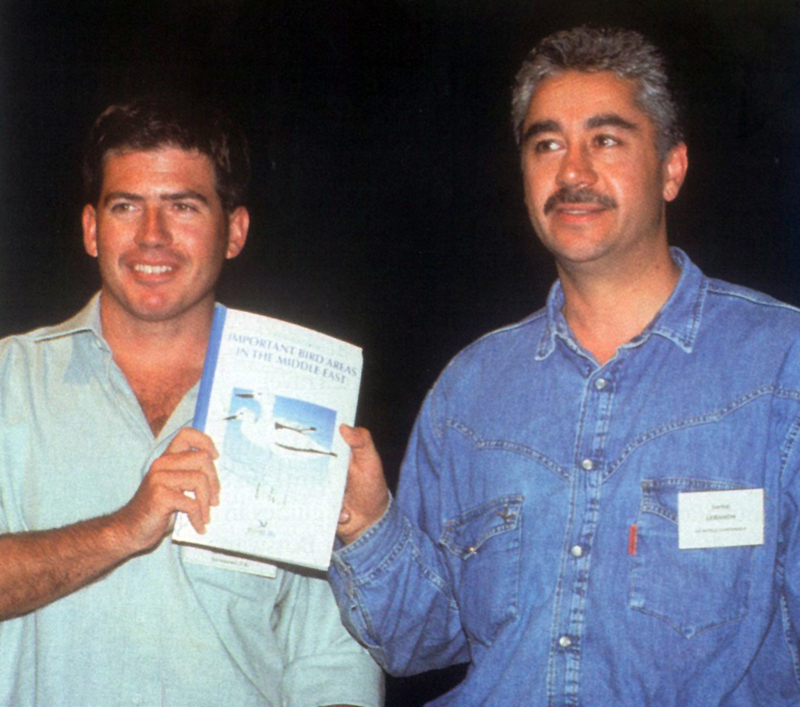 SPNL’s journey with BirdLife International first began in 1993, through a project that established the first bird sanctuary in Lebanon, at the green campus of the American University of Beirut. In 1994, SPNL became the national Lebanese partner for BirdLife International, and ever since SPNL has been cooperating with BirdLife in several projects conducted around Lebanon to protect birds and improve the livelihoods of people. This year BirdLife International will be organizing a celebration at the World Congress in Ottawa, Canada on June 19-22 for all its global partners in recognition of its 90th anniversary. The program will include honoring some of BirdLife’s partners for their outstanding achievements in conserving the environment and promoting its well-being. SPNL is one of these partners that will be appreciated for its excellent work in conserving biodiversity, promoting sustainable development, and improving the livelihoods of the local communities through the Hima system that was launched by SPNL in 2004. In return, SPNL will be giving BirdLife a good gesture gift to show appreciation and gratitude for all the efforts and support provided by BirdLife to SPNL. As such for BirdLife’s 90th and SPNL’s 30th anniversary, a portrait of the traditional bird stamps of both the UK and Lebanon will be given. In a joint project between SPNL and BirdLife International, the first Important Bird Areas (IBAs) were declared in Lebanon in four locations across the country. After a thorough study of the different locations, the Ammiq Wetlands, Al Shouf Cedars, Ehden Forest, and the Palm Islands were classified as IBAs in Lebanon. 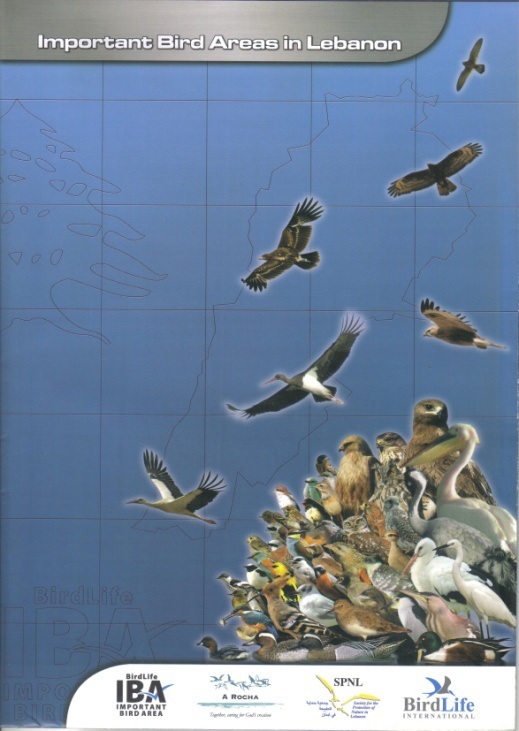 The results of this research were published in BirdLife’s IBA book, Important Bird Areas in the Middle East. On December, 11, 2002 SPNL in partnership with BirdLife International and other local and regional partners revived the IBA program at the Lebanese Presidential Palace under the patronage of the First Lady. 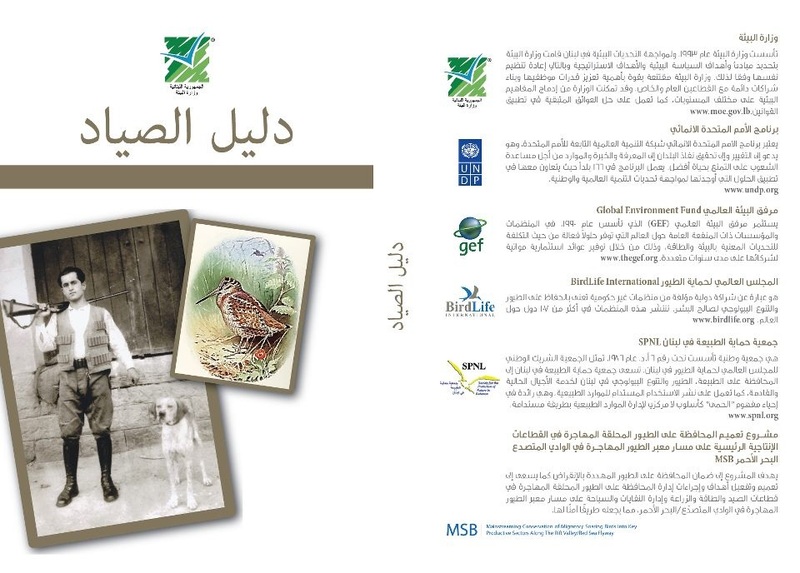 SPNL-BirdLife partner in Lebanon and A Rocha Lebanon implemented a three year survey (2005 – 2008) funded by the MAVA Foundation. The survey aimed to identify new IBAs in Lebanon that together would provide a more comprehensive reflection of its varied habitats and biodiversity. As a result of the study, in addition to the 4 sites declared in 1994, 11 new IBA sites have been identified and declared by BirdLife International in 2008. SPNL and BirdLife International have cooperated over the past 30 years in implementing several projects all over Lebanon to protect its diverse endemic and migratory bird species. The focus of these projects aimed at promoting and building capacity for sustainable hunting in Lebanon and mainstreaming the conservation of bird species into key productive sectors in Lebanon. These efforts have resulted in the formation of the new hunting law in Lebanon in 2004. Moreover, the work done-resulted in producing the hunter’s guide, bird identification manual, soaring birds guide, hunter’s license guide, and soaring birds atlas in 2011-2012. In addition, SPNL has collaborated with BirdLife in a study to conserve the globally threatened species, the Syrian Serin bird in Anjar, resulting in the production of a five-year action plan to prevent its extinction in 2012.
hunter’s guide is the reference book for the hunter in order to pass the exam needed for the hunting license according to hunting law 580/2004. Additionally, in 2012, BirdLife International assigns SPNL to manage its newly opened GCC office in Doha, Qatar. In 2004 SPNL embarked on a new mission to establish Himas in Lebanon. Up to this date, eight Himas have been declared all over the country. The Hima system aims at the sustainable use of natural resources to enhance the livelihood of the local people, as well as to conserve the current biodiversity of species. As such, many of these Himas coincide with the current IBAs of Lebanon, which present a habitat for many of the local and migratory bird species in Lebanon. In this context SPNL and BirdLife worked together to establish these Himas and improve their status not only to conserve the different bird species but also to sustain the livelihoods of the local communities. The Himas in Lebanon, such that of the coastal Hima of Qolieleh, conserves the various marine bird species and globally threatened turtles, likewise those located inland aim to protect the different bird species in those areas such as Syrian Serin in HimaAnjar/KfarZabad.